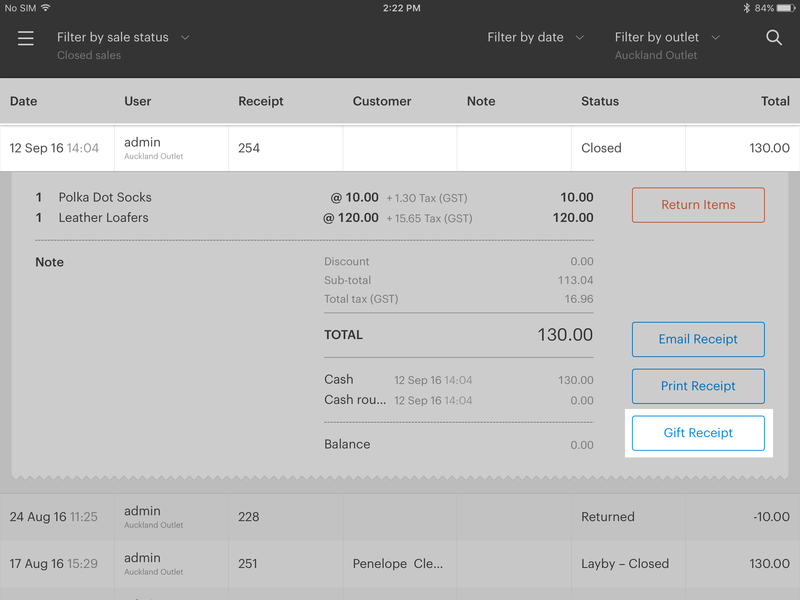 Gift Receipts in Vend for iPad – How can we help? Important: These are instructions for printing Gift receipts on Vend for iPad. For instructions on how to do this on Vend for Mac or PC, click here. 2. After taking payment for the sale, you will be taken the 'Sale Complete' screen. 3. On this page, tap the Gift button to print a gift receipt. Tip: If you have not configured standard receipts to print automatically you can print one manually from this screen by tapping the Print Receipt button.